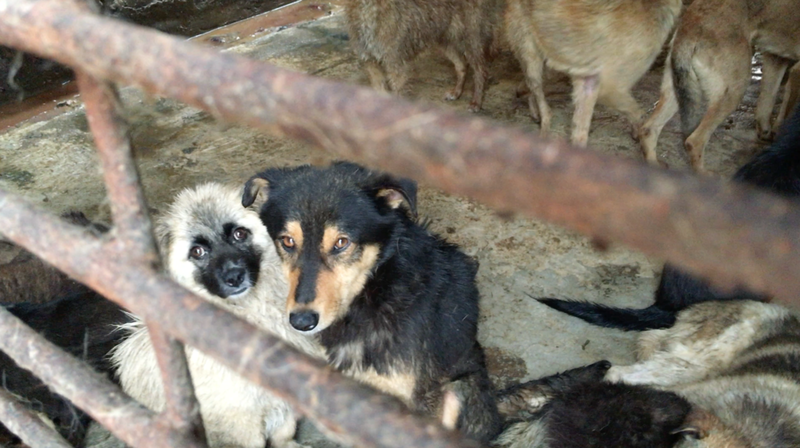 Thousands of dogs are brutally slaughtered in the pits of Yulin. But Oliver and his brothers were saved. 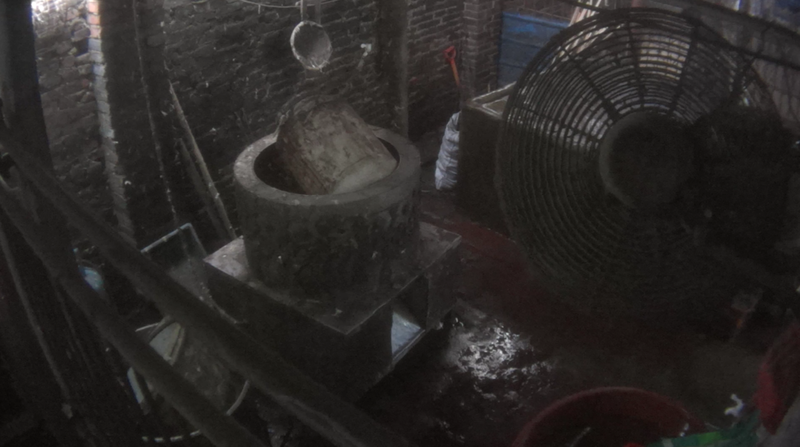 A team of DxE Open Rescue activists, led by co-founder Wayne Hsiung, infiltrated the slaughterhouses of Yulin. Their mission: document the horrors of the infamous Yulin Dog Meat Festival and rescue as many dogs as possible from certain death. DxE witnessed sadistic abuse, including dogs choked, stomped on, and urinated on as they awaited slaughter. Injured dogs were dragged across the blood-covered floor as they were beaten to death with metal rods and screamed in horror. All the dogs trembled in terror as they awaited slaughter in pens so congested that they sometimes could not turn around or lie down. Many dogs went insane as they watched each of their friends mercilessly slaughtered right in front of their eyes. Every one of the dogs would die... except Oliver. Pau - one of the brothers saved, when DxE first found him. 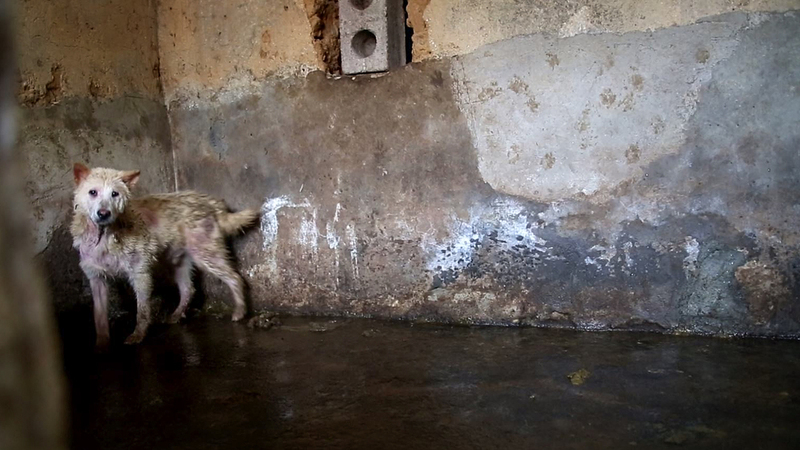 Dogs are kept in filthy conditions, many sick and in desperate need of veterinary care. When the dogs are 'harvested', they are terrified. Many resist. All will fail. To subdue their victims, men clamp four-foot-long calipers around the dogs' necks. With clamps still firmly pinning their necks down, workers crudely club the dogs on their heads. Once the dog is either stunned or too hurt to run away, their necks are slit, and they slowly bleed out. Workers treat the dogs with little respect. Here a man urinates on a dog through the cage. When the dogs have to be transported, they are stuffed violently into tiny steel crates. Limbs sometimes are broken. A man roughly carries a dog - by their tail -- to be slaughtered. In the dark, a small, white dog peers outwards from his cage. By the time you read this, he has most likely already been turned into meat. While Yulin celebrates dog meat, other species like rabbits are slaughtered for their flesh too. Rabbits are killed for meat in the United States too. Blood flows freely in the slaughterhouse. With curious eyes, a small, white dog peers up from their enclosure. With his paws red from the blood of his friends, a dog attempts to paw his way up the walls that close him in. With his large calipers, a man taunts a terrified, trapped dog. Food is scarce, and in such stressful, filthy conditions, dog fights routinely break out. After clubbing a dog unconscious, a worker reaches for his knife to slit the dog's throat. Dog blood runs in rivers as a worker slaughters yet another dog. As people roast the bodies of dogs and cats, blood flows right underneath the table. From behind the bars of their crates, two scared dogs await their slaughter. A mix of blood, vomit, and diarrhea on the floors of the pen. Stolen pets often get turned into meat, too. Here, two black Labradors await their slaughter. 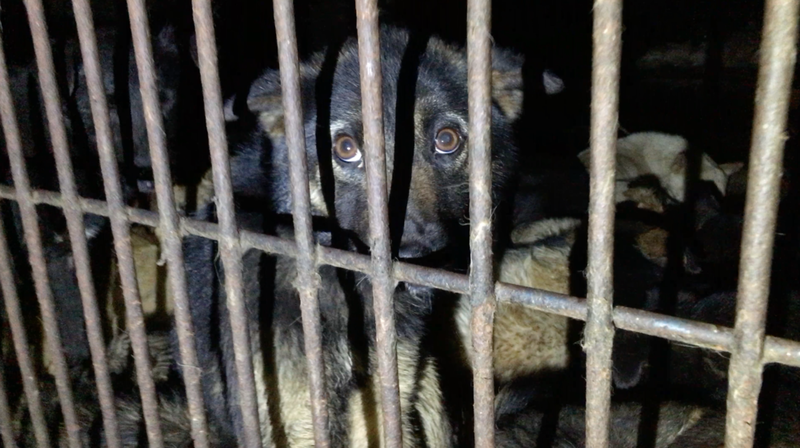 A brown-eyed German Shepherd puppy looks through the bars of a filthy cage. But animals are not things. DxE rescues animals like Oliver and gives them the lives they deserve. 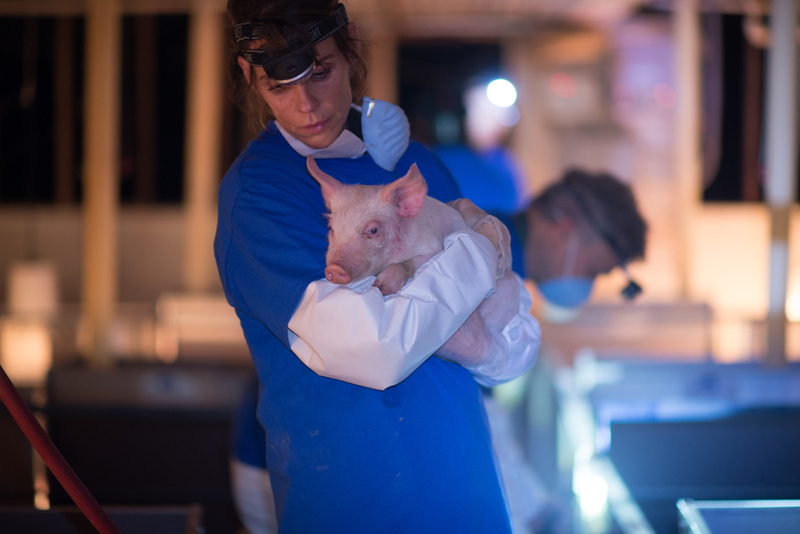 Former Baywatch star Alexandra Paul comforts Miley, a piglet rescued from a California farm. In the background, Chris DeRose from Last Chance for Animals, inspects the other pens. A six-month investigation by DxE into "humane-certified" supplier JS West exposed widespread violations of animal cruelty law, including California's Proposition 2. DxE released the first-ever investigation of a Certified Humane farm in America and rescued a dying hen named Mei Hua, January 2015. In solidarity with activists in China, DxE is organizing protests in dozens of nations across the world to end the dog meat trade. But our ultimate mission is much larger: to create a world where every animal -- whether a dog in China or a pig in the United States -- is safe, happy, and free. 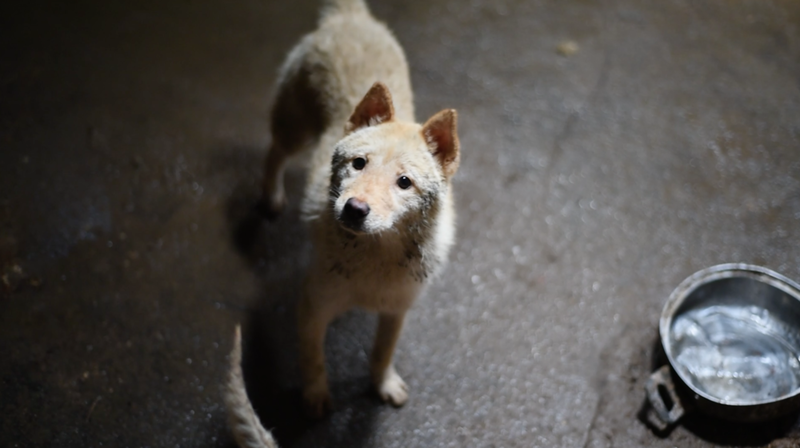 Get updates on our campaign and join our 10,000 strong candlelight vigil to end the dog meat trade. 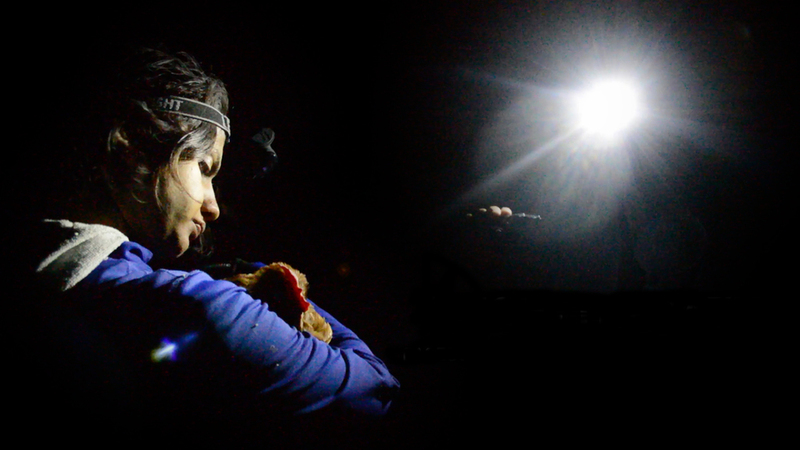 Support our lifesaving work by becoming a member of the Open Rescue Network.